We’ve just flown a RedEdge mission out at Lake Herrick resulting in 275, 5-band multispectral images. Many of the images were acquired using a vertical flight pattern (5m AGL, 6m AGL, …, 200m AGL). The raw imagery has been converted to percent reflectance (DN to Reflectance) using Micasense’s imageprocessing python libraries that can be downloaded here: https://github.com/micasense/imageprocessing. The individual images that comprise each image capture, however, have not been aligned. Recall that the RedEdge-M is a multi-lens camera that produces a single image capture consisting of five individual images and the images are slightly offset due to the sensor’s multiple lenses. Alignment must be performed before the images can be analyzed. Lets look for opportunities to automate the process… In R!!!!!!! create a list of files; store the name of only the band 1 images from each image capture (*_1.tif), copy (*_<1-5>.tif) to their appropriate folders. Fiji/ImageJ does have batch processing capabilities, however there are issues with batching the Register Virtual Stack Slices. 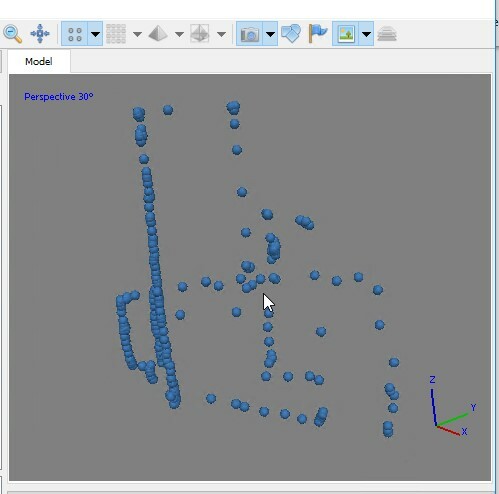 Alex Herbert has compiles an excellent tutorial, ImageJ Batch Processing document (http://www.sussex.ac.uk/gdsc/intranet/pdfs/ImageJBatchProcessing.pdf), covering these capabilities.